All the information can be found on the chart. All the information is on the chart. Also, checkout our YT channel. All the information can be found on the chart. Also, checkout our YT channel. Looking for breakout of distribution phase. All the information can be found on the chart Also check out our YT channel. Looking to short up to major support. This is paper we are looking to take, all the information is on the chart. Also check out our YT channel. Information is on the chart. Also check out our youtube channel. Look for a long on CIG on the break of upper channel. Utilities Sector finished strong last week, and if momentum continues look at CIG closely for long play over the upper channel trend line. DISCLAIMER: This is not a financial advice, so please do your due diligence. 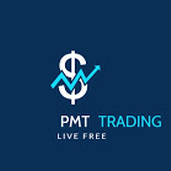 Also for more in-depth analysis of our trade ideas please check out our YOUTUBE channel @PMT Trading.